Here we are in the Twin Ports of Duluth, Minn. and Superior, Wisc.—the second stop on our three-city tour of places in literature. Today, we visited locations from novels and short stories by Anthony Bukoski, Danielle Sosin and Brian Freeman. For this out-of-towner, it was interesting to see that the inherent tension between the two cities is reflected in the region’s literature. Starting with a middle-of-the-night digging of its own shipping channel in 1871, Duluth seems to have surpassed its neighbor economically, culturally, politically and socially. Ever since, people in Superior have had an inferiority complex. This was glaringly apparent driving through a downtown district lined with dilapidated storefronts and empty lots. Asking people who lived in Duluth, we got the sense that the only reason to head across the river is to drink at the many dive bars. 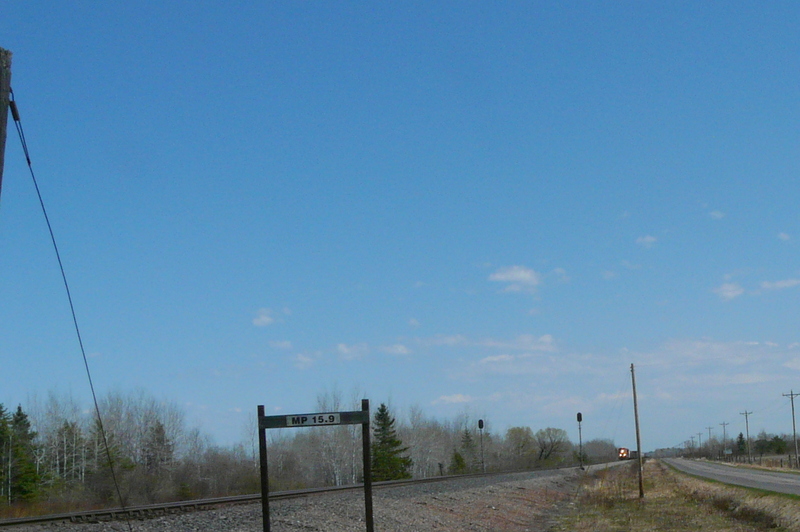 When we asked people in Superior when they’d head to Duluth, the answer was merely a shrug. The ice was palatable. This, of course, shows up in the region’s literature. Characters down on their luck head to Superior to drown their sorrows in booze and wait to hit bottom. There’s rarely a rebound. People like to say that Superior is where the region’s aging fleet of ore boats go to die. The same can be true of the region’s citizens. On a happier note, we visited the location of a scene that truly fit the spirit of our Placing Literature project. Anthony Bukoski wrote a short story about a track inspector who spends every day all day at mile marker 15.9 outside of Superior. It’s a lonely existence, and life goes slowly in this part of the country. He slowly develops a relationship with a widow who lives nearby. It’s a slow burn relationship, each character taking their time getting to know the other. The setting (around mile marker 15.9) reflects the nature of the relationship—starting slow but growing on you as time goes on. Tomorrow we’re heading up to the North Shore where both the isolation and potential fury of Lake Superior is featured prominently in many novels and short stories. This entry was posted in Uncategorized and tagged crowdsourcing literature, why crowdsourcing on May 15, 2013 by katiecwilliams.